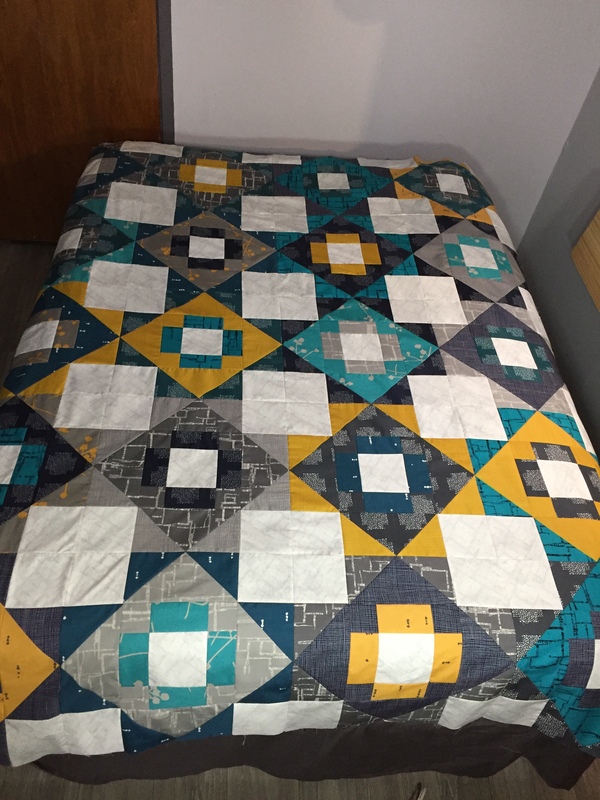 I just finished sewing the quilt top together this past weekend. 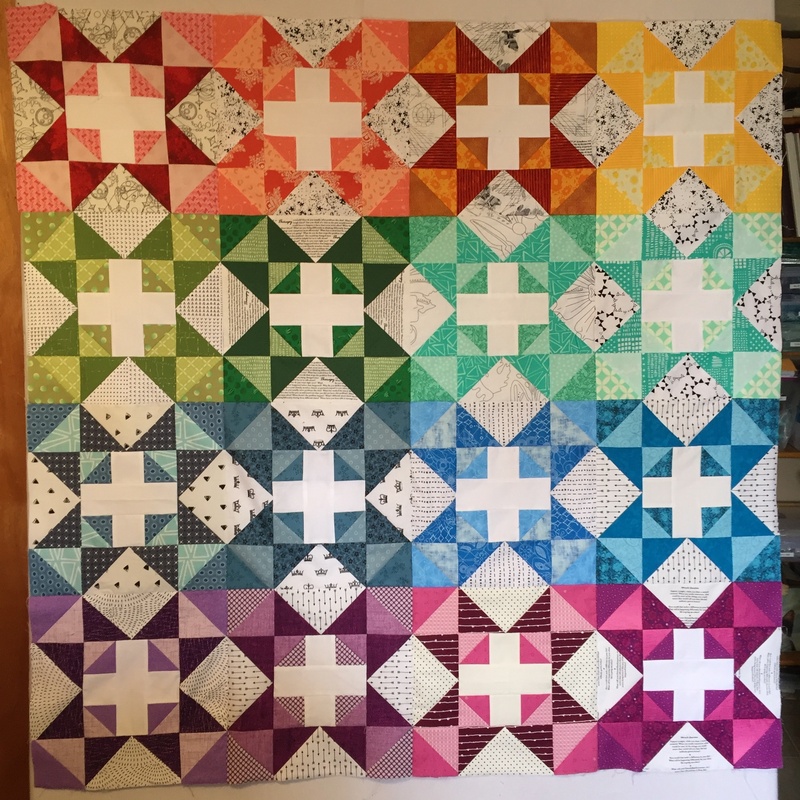 I had so much fun participating in this quilt-along using my hoarded Katarina Roccella Imprint collection. 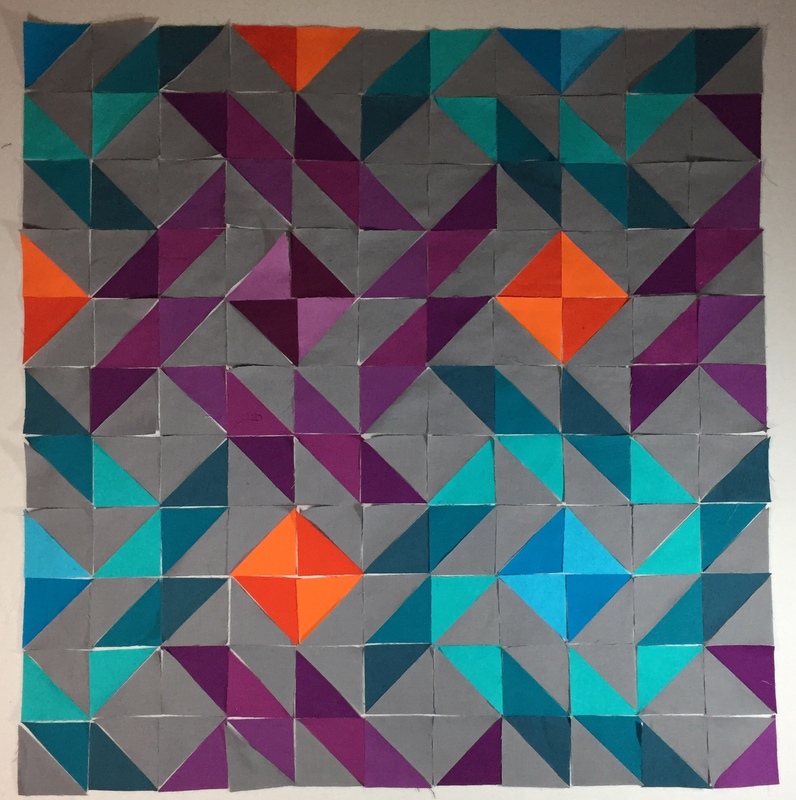 To see other absolutely amazing Meadowland quilt tops, check out #meadowlandqal on Instagram. I am having Amy with Amy’s Creative Side do the long-arm quilting using her Window Pane quilting motif on this project. My Camping Quilt is my 3rd proposed finish for this quarter. I hope to get it back from Sew Shabby Quilting by the end of the month to get this quilt bound and plan to hand carry this quilt and one Travel Trailer pillow (using the fabric pull above on the left) when I visit by brother and sister-in-law in May. My fourth proposed project is a mini quilt using my Wedding Whirl design with 1.5” finished HSTs. It is going to be 16.5” x 16.5” (or I may add a border on two sides to make it rectangular). 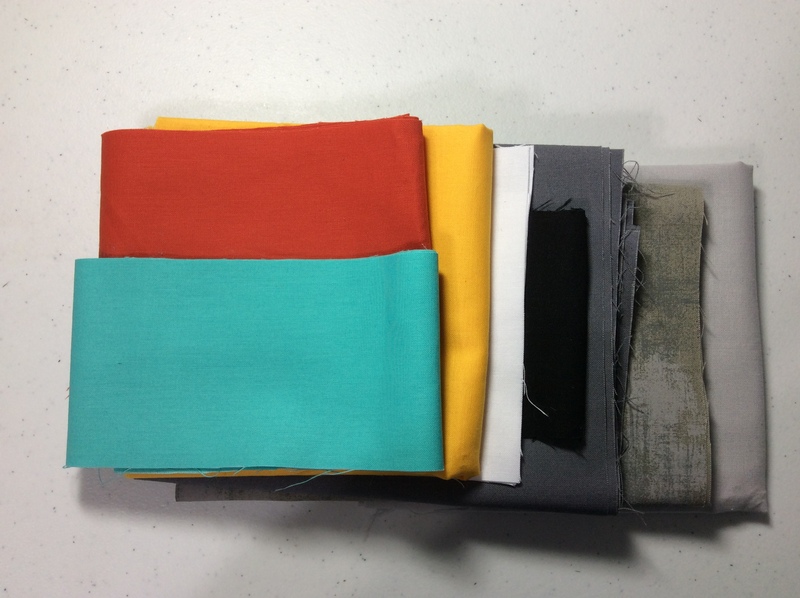 My last new Qtr 2 project is a secret project. 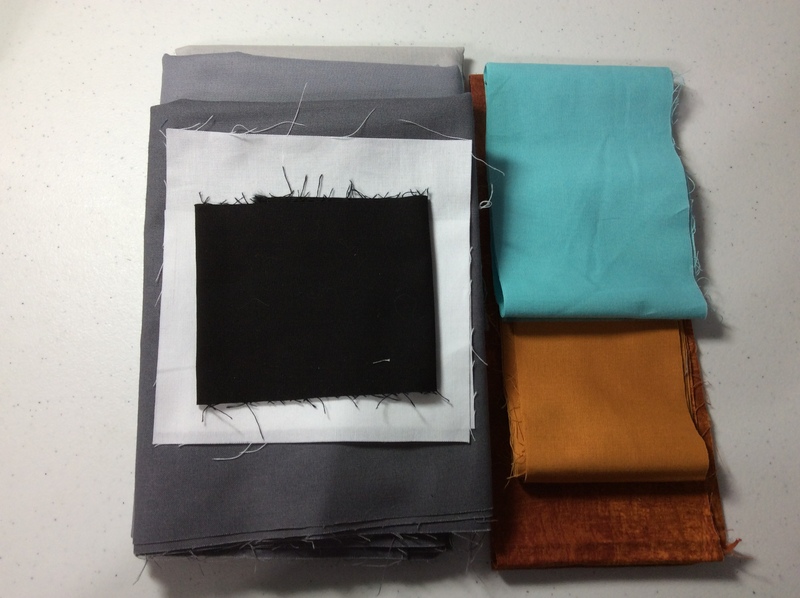 Below is a pic of six fabrics used in this baby-size quilt, but I’ve not included the two feature fabrics. I’m carrying over one of my 2019 Qtr 1 Finish-A-Long Goals into this quarter. Sew Shabby Quilting did a lovely job with the quilting of my Rainbow Autumn Chain Quilt, and it just needs to be bound. This entry was posted in Uncategorized and tagged 2019 Finish-A-Long. Bookmark the permalink. Wonderful projects. Good luck and lots of fun finishing them! 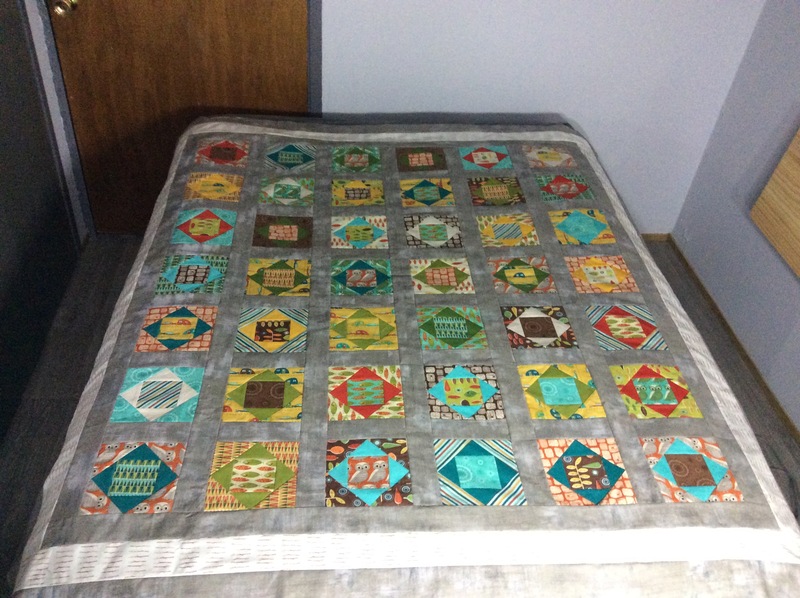 That Meadowland quilt is so my colors! (Okay, I would have used lime instead of gold, but I totally love your version!!) And you’re going to beat me on the Rainbow Autumn Chain! (At least I have all my blocks finally finished.) Enjoy sewing this quarter. 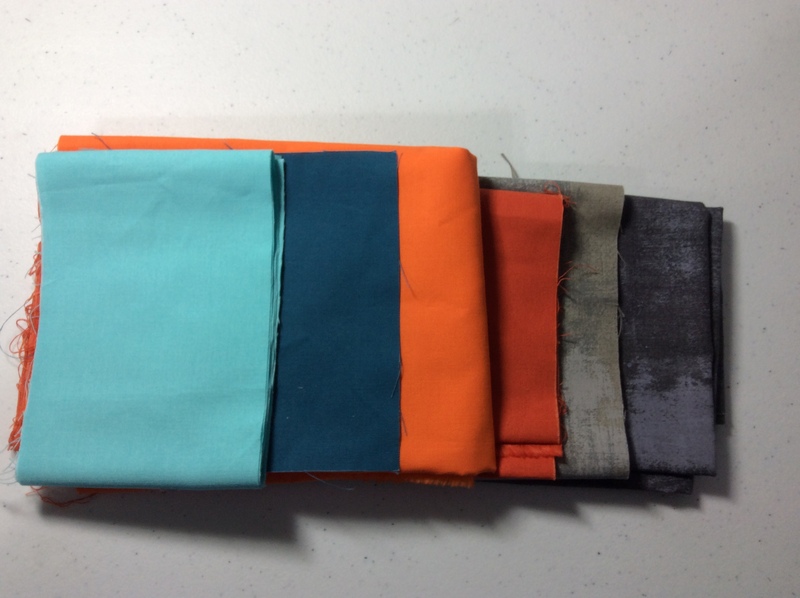 Looks like you have some finishes coming soon! Thank you for participating in the FAL, on behalf of the 2019 global FAL hosts.